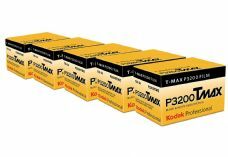 KODAK T-MAX P3200 Film ⁄ P3200TMZ is a black-and-white negative film that offers the ability to expose at variable speeds from ISO 400 - 6400 with the requisite changes in development. It is classified as an ultra-high speed and offers fine grain vis-a-vis it's sensitivity. It is very useful for very fast action and for subjects that require good depth of field combined with fast shutter speeds. It is also an excellent choice for available-light documentary photography. 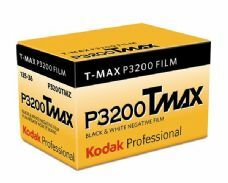 Additionally, the grain structure of T-Max 3200 is popular for fine art applications. Back from the dead! NOW AVAILABLE!